CANTON, Mass. (July 11, 2018) – Dunkin' Brands Group, Inc. (Nasdaq: DNKN), the parent company of Dunkin' Donuts (DD) and Baskin-Robbins (BR), today announced that David Hoffmann, 50, has been appointed Chief Executive Officer, effective immediately. He will also serve on the Company’s Board of Directors and remain President of Dunkin’ Donuts U.S. The members of the Dunkin’ Brands Leadership Team will now report to Mr. Hoffmann who is succeeding Nigel Travis, 68. Mr. Travis is retiring from the role he has held since January 2009. Additionally, the Company announced that Mr. Travis has been named Executive Chairman of the Board of Directors and will remain actively involved with the Company, with a particular focus on the continued development of the international businesses. Mr. Hoffmann joined Dunkin’ Brands as President of Dunkin’ Donuts U.S. in October 2016. Since that time, he has overseen the implementation of a multi-year Blueprint for Growth designed to transform Dunkin’ Donuts into the leading beverage-led, on-the-go brand. 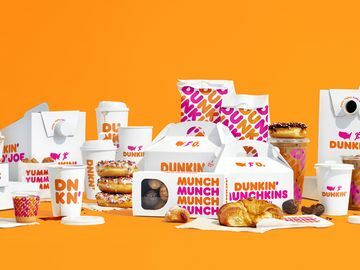 He has also led all aspects of Dunkin’ Donuts’ U.S. operations, supply chain, marketing, consumer packaged goods (CPG) growth, digital innovation and franchise development. Additionally, he has directed the creation of Dunkin’ Donuts’ next-generation concept store, overseen the addition of hundreds of net new Dunkin’ restaurants in the U.S. and advocated for numerous sustainability initiatives. Under Mr. Travis’ leadership, Dunkin’ Brands completed a successful IPO in 2011 and has delivered consistently strong financial results, enabling it to return nearly $2.7 billion to shareholders since going public. Over the past ten years, he has guided the Company through one of its most dramatic growth periods, which included entry into 25 new international markets and the addition of almost 6,000 net new restaurants globally, including more than 2,800 net new Dunkin’ Donuts restaurants in the U.S. Mr. Travis has also directed the launch of numerous key business initiatives, including the introduction of Dunkin’-branded consumer packaged goods such as Dunkin’ K-Cups and Ready-to-Drink Bottled Iced Coffees. A strong advocate for leveraging digital technology to better deliver the customer experience, Mr. Travis oversaw the introduction of mobile payment apps for both Dunkin’ Donuts and Baskin-Robbins, the DD Perks Loyalty Program, Dunkin’ Donuts’ On-the-Go Mobile Ordering, and home delivery programs for both brands in multiple markets around the globe. Before joining Dunkin’ Brands, Mr. Hoffmann spent a total of 22 years with McDonald’s Corporation including time as a crew member while in high school. He later rejoined the company, post MBA, and after working in field operations, moved to the corporate office where he held leadership positions in several key functions including strategy and insights, development, training, operations and supply chain. In 2008, he was named McDonald’s vice president of strategy and franchising in Japan, and later held general management positions covering a wide range of international markets. He was ultimately named President, High Growth Markets, which included China, South Korea, Russia and several additional European markets. Prior to McDonald’s, Mr. Hoffmann worked for Arthur Andersen. The Company will be holding a conference call on Wednesday, July 11, 2018, at 4:30 p.m. ET hosted by Mr. Hoffmann and Mr. Travis to discuss this announcement. The dial-in number is (866) 393-1607 or (914) 495-8556, conference number 7377645. The Company will broadcast the conference call live over the Internet at http://investor.dunkinbrands.com. A replay of the conference call will be available on the Company’s website at http://investor.dunkinbrands.com. About Dunkin' Brands Group, Inc.
With more than 20,000 points of distribution in more than 60 countries worldwide, Dunkin' Brands Group, Inc. (Nasdaq: DNKN) is one of the world's leading franchisors of quick service restaurants (QSR) serving hot and cold coffee and baked goods, as well as hard-serve ice cream. 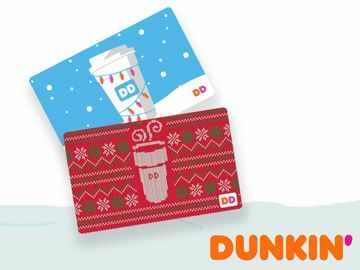 At the end of the first quarter 2018, Dunkin' Brands' 100 percent franchised business model included more than 12,500 Dunkin' Donuts restaurants and more than 7,900 Baskin-Robbins restaurants. Dunkin' Brands Group, Inc. is headquartered in Canton, Mass. This release contains projections and other forward-looking statements within the meaning of Section 27A of the Securities Act of 1933 and Section 21E of the Securities Exchange Act of 1934. Generally, these statements can be identified by the use of words such as “anticipate,” “believe,” “could,” “estimate,” “expect,” “feel,” “forecast,” “intend,” “may,” “plan,” “potential,” “project,” “should,” “would,” and similar expressions intended to identify forward-looking statements, although not all forward-looking statements contain these identifying words. By their nature, forward-looking statements involve risks and uncertainties because they relate to events and depend on circumstances that may or may not occur in the future. These projections and statements reflect management’s current views with respect to future events and financial performance. No assurances can be given, however, that these events will occur or that these projections will be achieved, and actual results could differ materially from those projected as a result of certain risk factors. A discussion of these risk factors is included in the Company’s periodic reports filed with the Securities and Exchange Commission. Except as required by applicable law, we do not undertake to publicly update or revise any of these forward-looking statements, whether as a result of new information, future events or otherwise. 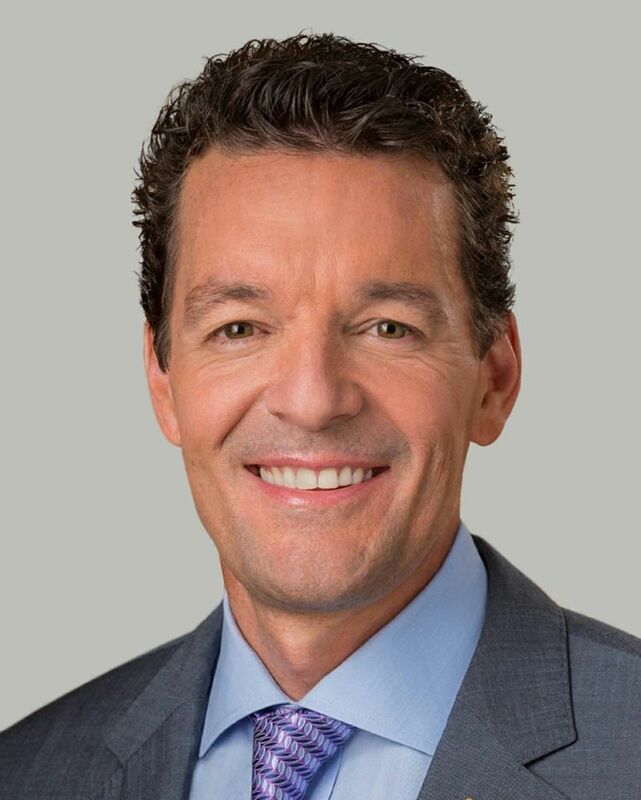 Dunkin’ Brands Chief Executive Officer and President, Dunkin’ Donuts U.S.